ife often spills out in unexpected ways. 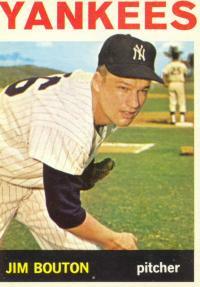 Jim Bouton the ballplayer, for instance, will be remembered as a writer. I'm your Pilot: Bouton played for Seattle's one-year wonders  and kept a diary. Bouton won 41 games for the New York Yankees in 1963-'64, including two in the '64 World Series. In 1969 he kept a diary. 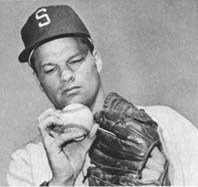 The diary became "Ball Four," which chronicled a big-league season mostly spent with Seattle's hapless, short-lived Pilots. A 30-year-old Bouton described baseball's avenues and alleyways in witty, knowing and never-before-told detail. "Ball Four" eventually wound up as the only sports title on the New York Public Library's list of last century's greatest books. 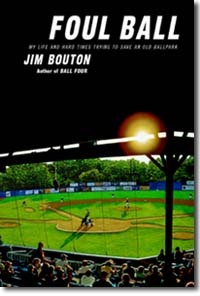 Bouton's new diary is "Foul Ball," a vivid and passionate account of a plan to renovate Wahconah Park, a stadium well into its second century  and to save the financially strapped western Massachusetts town of Pittsfield from spending nearly $20 million in public funds on a replacement. The Bouton plan is to pour private money into renovating the beloved old ballpark and arrange for the people of Pittsfield to buy a minor-league team  rather than allow the town to be held hostage by opportunistic, nomadic owners who shamelessly shop for public-money stadium deals. Bouton contends that upwards of $16 billion tax dollars have been spent on stadiums over the last 15 years. No fewer than 113 minor league stadiums, he adds, have been built with taxpayer dollars since 1985. That, he reasons, is not unlike Hollywood insisting on new theaters being built with public funds. Park it here: Bouton's plan to renovate historic Wahconah Park is rejected (click to visit Bouton's Web site). The affable Bouton comes off like a cross between Columbo and Michael Moore as he uncovers a plot whereby the park board, city council, mayor, daily newspaper, politicians, bankers, media moguls, lawyers and General Electric are all in cahoots  and trying to strong-arm 42,000 townspeople into something they've voted down on three separate occasions. In essence, Pittsfield's powers-that-be are intent on building a new stadium to cover up a nasty toxic waste dump. Meanwhile, Bouton and a pair of seasoned business partners jump through endless administrative hoops while marshaling enthusiastic support from much of the town. But they never sway the all-important park board, which sends Bouton and his ambitious friends after a series of witch's brooms. The board eventually gives stadium rights to a lackey, who runs a temporary team and lets the old ballpark further deteriorate. The power structure continues to pursue its unpopular new stadium all the while. "The tragedy in Pittsfield," writes Bouton, "is that the citizens, in order to survive, must rely on the very same people who've harmed them. The best paying jobs are doled out by those in power, leaving the citizens no choice but to help keep the lid on their own grievances." Bouton weaves a variety of heartfelt tangents into the story, including his return to Yankee Stadium for Old-Timers' Day (he'd been banished for nearly 30 years because of the fallout from "Ball Four") and the ongoing anguish attached to losing his adult daughter to a car accident. The upshot is that after the book is finally finished, the publisher's big-city lawyer  with ties to G.E.  insists that all references to the company be removed. So Bouton published the book himself earlier this year. Adaptation, of course, is a key to life. Bouton's own career went from fireballing youngster to 30-year-old relief pitcher with a knuckleball on Seattle's expansion team. He'd lost his fastball but used the novelty pitch to continue playing in the big leagues. Bouton retired after the 1970 season but, amazingly, he and his knuckleball returned briefly to the big leagues in 1978 with the Atlanta Braves. His trump card was the fact that the knuckleball, thrown softly to float and dance toward home plate, puts little stress on an arm. Indeed, life spills out in unexpected ways. When my dad was well into his 60s, he lost a smalltown city-council election after cleaning up in the primary. What went wrong? The local daily paper, the only game in town, preferred another candidate. So they baited dad into saying something and reported it out of context. 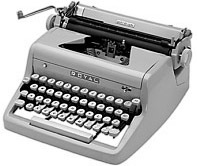 From then on, no matter what dad would say, the paper got the last word. Damn Yankee: Bouton's card from 1964, the year he starred in the World Series. Sure, dad was a political neophyte. But he was also a jack of all trades and master of many. The paper never let up, but dad figured out the game and won the seat two years later  after knocking on every door in town. With a spot on the council he was reborn just short of his 70s. Thanks for the lesson, dad. Similarly, Bouton has enjoyed his post-playing days as writer, actor, announcer and motivational speaker. He never strays far from tapping deep into his passions. Bouton (and his wife) put life on hold to spend the better part of a year pursuing a dream and fighting for what he believed. The dream didn't come true, but he ended up  unexpectedly  with another fascinating book. "You spend your life gripping a baseball," Bouton wrote a third of a century ago at the end of his first book, "then find that it's the other way around." Substitute whatever you will for "baseball" and we've got ourselves a universal truth. There's little to lose and everything to gain  as long as we make the right substitutions.